There were a number of presentations where the next versions of software were discussed at PASS Summit. Among the more interesting was the conversions about the Future of DataZen. For those of you who are unfamiliar with the product, Microsoft bought Datazen on April 14, 2015, as their on-premise Mobile Solution. For more information on Datazen, please check out my previous posts on it here. In July of this year when I talked to someone from Microsoft about how Datazen fit into the product offering, he told me that it was going to be the non-cloud application to provide visualizations to mobile phones. Now with the latest series of product announcements, I fully understand what he meant. 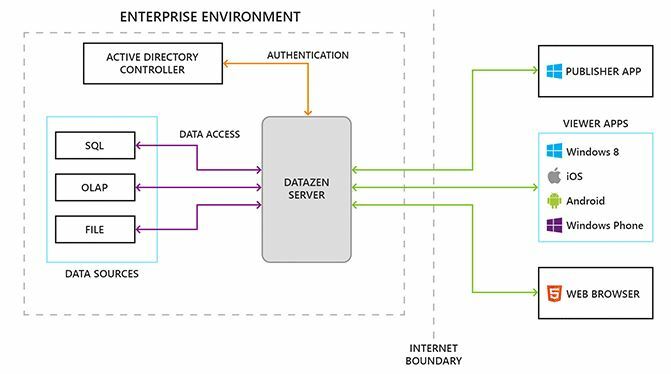 Datazen is going to be merged into SQL Server Reporting Services [SSRS]. The Datazen server is going to be combined into SSRS. SSRS is the new Datazen. For anyone who has looked at the product releases notes of the last three versions of SQL Server, you won’t find much about SSRS. The picture perfect reporting system was left alone. I was not surprised to hear from one of the Microsoft Employee’s at their booth at PASS Summit that they were told not even to mention SSRS as a reporting solution a few years ago. Everything was all about Power BI. Power BI is a neat visualization tool, but it doesn’t fit the needs of all users, primarily because it is a cloud based application, and let’s face it. Some people are just not going to go to the cloud. Anyone who has perused by Microsoft’s product offerings in the past few years saw lots of things about the cloud. Applications like Power BI and Azure ML are only available there. It seemed like Microsoft was abandoning people who wanted to maintain their own servers. They are looking to change this impression. I have included the graphic that Microsoft included in a number of their presentations. 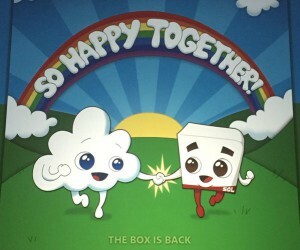 They are trying to show love for the box, which is the representation of on premises software. Datazen is going to maintain the client features that people like, including designing using the grid view and picking the form factor. The server which manages Datazen is no longer going to be a separate server but will be included in the SSRS Server in SQL Server 2016. 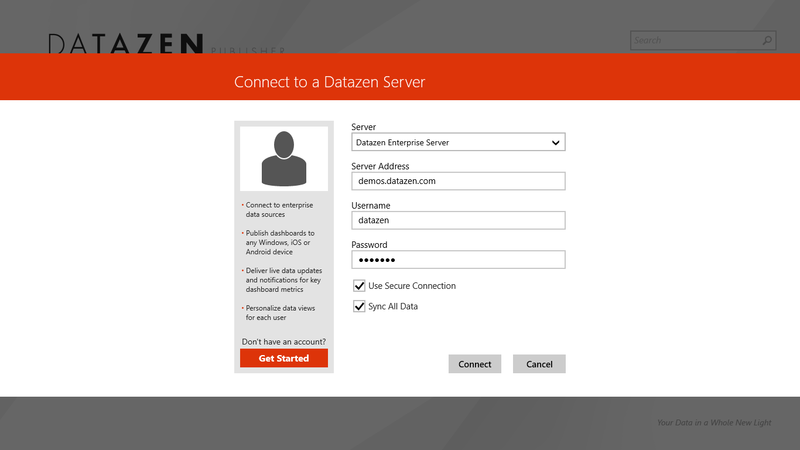 The idea is that Datazen will inherit some of the features people like about SSRS, such as the subscription model. The details regarding exactly how all of this will work were not made exactly clear, but I imagine that in the very near future more details of the Datazen/SSRS integration will be available soon. One of the things that I wondered is if the name Datazen was going to go away entirely and the application was going to be called SSRS mobile? I heard differing answers to this question, so I am not sure it has been determined yet. What I was assured of is the features that made Datazen a very good mobile solution are not going away. Microsoft hopes that having the ability to publish from SSRS to the phone may be a big reasons people decide to upgrade to SQL Server 2016 next year when this functionality is released. 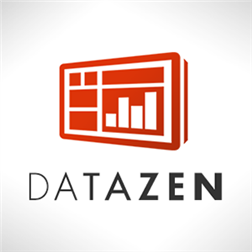 Microsoft just announced that they have bought Datazen, a mobile data visualization product. While I have no idea what Microsoft is actually going to do with the Datazen product, I couldn’t resist the chance to speculate about it. In earlier posts, I’ve talked about the conversion of what Power BI was before Power BI Designer was released and what Power BI is now. 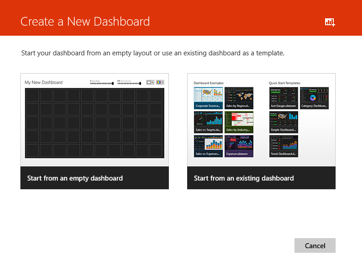 Since then I have been working on creating new Power BI dashboards. The process left me, shall we say underwhelmed? The tools in Excel allow for much greater flexibility and options than new Power BI. Now to be fair, new Power BI was released December 18th, 2014, so it’s not possible for it to contain all of the rich feature and functionality that the Excel tools do. That’s all well and good, but what it won’t do led to some frustration. If the new Power BI was the way that Microsoft was going to climb up to the top of the Gartner BI visualization charts, I didn’t think it was going to do the trick. Anyone Still Using Lotus 123? The one thing that I kept on thinking about when looking at the new Power BI is, there has to be a part of the plan I’m not getting. I didn’t see how this product would have the feature and functionality needed by the time the reviews came around again next February. In looking back in time, I couldn’t help of thinking of a time when Microsoft was battling it out in another space, spreadsheets. When Excel first came out, the big leader in the space was Lotus 123, which has since disappeared. (If you are running it where you work, please post comment to let me know, because I think Lotus 123 is gone.) The reason for Microsoft’s dominance in spreadsheets was Excel got a lot better at providing spreadsheets the way people wanted to use them. Microsoft’s purchase of Datazen looks to be a way to leverage a product with some really cool features to enhance the capabilities of Power BI. Datazen is a mobile application, but they have some good looking visualizations which hopefully could be incorporated into Power BI. There’s only one thing that may be a reason for pause. In 2006, Microsoft made another acquisition. They bought a company called ProClarity. ProClarity had some really neat features, some of which were included in Performance Point, but for the most part, the application was killed. 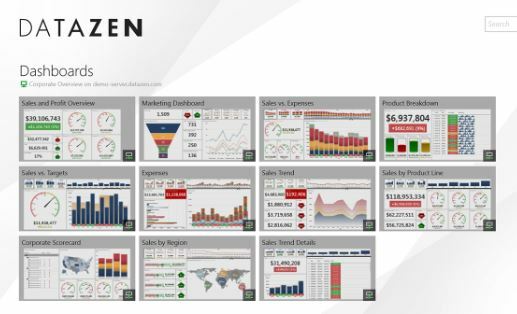 I hope that history is not a guide in the purchase of Datazen, because Datazen has some great visualizations which could really help the new Power BI, and it would be good if Microsoft could figure out how to merge the features into the new Power BI to help improve the their position in the data visualization marketplace. I look forward to seeing how the two companies merge the Datazen features into Microsoft’s data visualization components.